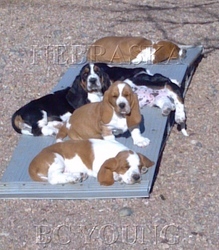 Here are pics of our Mommys and Daddys. We have all our Momma's and Daddy's on site. 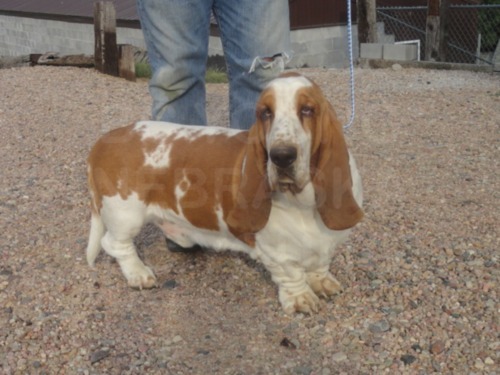 We are happy to show you our Bassets when you come to our place. Most people comment on how nice of a set up we have for our Bassets. 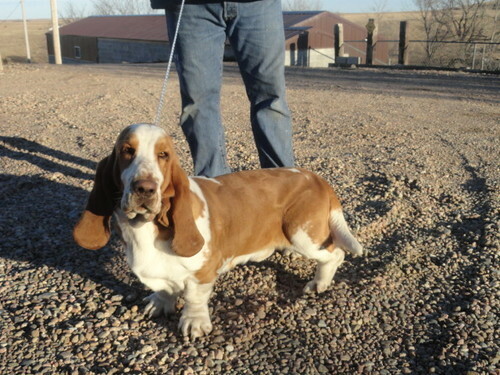 They really like how all our Bassets have a huge chain link fence to run and snoop in so they can enjoy being a Basset.